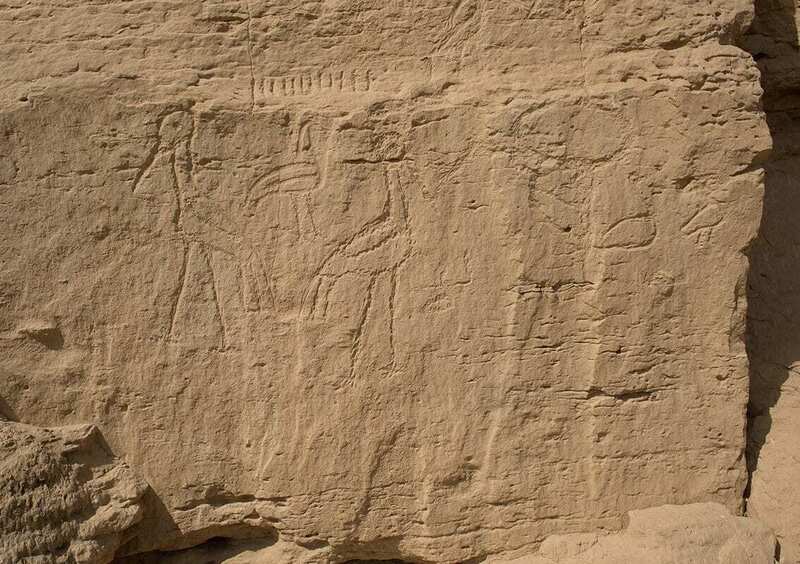 Dr. Mahmoud Afifi, Head of the Ancient Egyptian Antiquities Sector at the Ministry of Antiquities explains that the rock inscriptions site is comprised of several panels of rock art and the inscriptions preserve the significance in the history of ancient Egyptian writing systems. They are described as one of the earliest—and largest—signs from the formative stages of the hieroglyphic script as well as providing evidence for how the ancient Egyptians invented their unique writing system, ranging in date from the early Predynastic Period (Naqada I, ca. 4000-3500 BCE) through the old Kingdom (ca.2350BCE). Hani Abu ElAzem, Head of the Central Department of Upper Egypt Antiquities said that the discovery is important because it helps in our understanding of the development of a system of graphic communication that sets the stage for the appearance of true hieroglyphic writing in Upper Egypt ca. 3250 BCE. Dr John Coleman Darnell the head of the archaeological mission said that these inscriptions were discovered on high rock faces overlooking the modern railroad and the earliest example shows animal images— in particular a herd of large elephants—some of which develop into symbols of political power for late Predynastic rulers. He continued that the mission also discovered a panel of four signs, written right to left (the dominant writing direction in later Egyptian texts) featuring a bull’s head on a short pole, followed by two back-to-back saddle bill storks with a bald ibis above and between them. And this panel is one of the largest yet discovered from Dynasty 0. By the last phase of the Predynastic Period, rock art and other objects from the Nile Valley could use images to express concepts, such as the saddle bill stork with a serpent beneath its beak meaning “victory” (as in the Davis Comb at the Metropolitan Museum of Art [MMA 30.8.224] and the Scorpion Tableau at Gebel Tjauti). These symbols are not phonetic writing, but appear to provide the intellectual background for moving from depictions of the natural world to hieroglyphs that wrote the sounds of the ancient Egyptian language. The newly discovered inscriptions at El-Khawy provide another example of this important transitional phase.